With his broad chest, round rump, and short legs, Barney looks more like a Shetland pony than a big half-Morgan. And his coat is as woolly as a bear’s. But thirteen-year-old Sarah loves him to pieces. Caring for him while his owner, Missy, was away at college took work, but eventually, she and the gelding bonded. Now Sarah’s folks have promised her a horse of her very own. But Sarah’s dad is writing his second novel, her mom is busy tutoring, and Sarah’s best friend, Jill, is stuck babysitting. 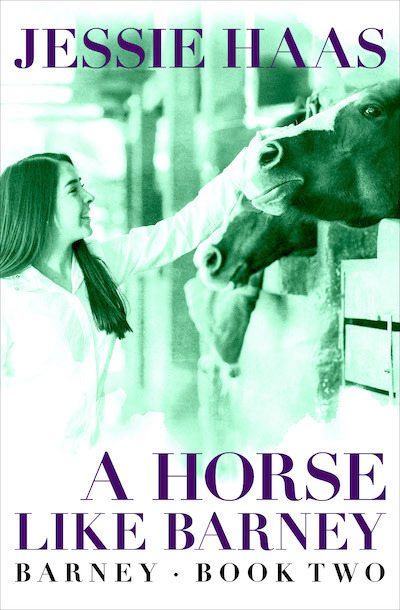 Facing a long, boring summer, Sarah is thrilled when Missy volunteers to help her look for her dream horse. Sarah wants a Morgan just like Barney. Eventually, she narrows it down to two: powerful, spirited Roy or lovable old Thunder, who’s bound for the auction block if nobody buys him. Which one should she choose?